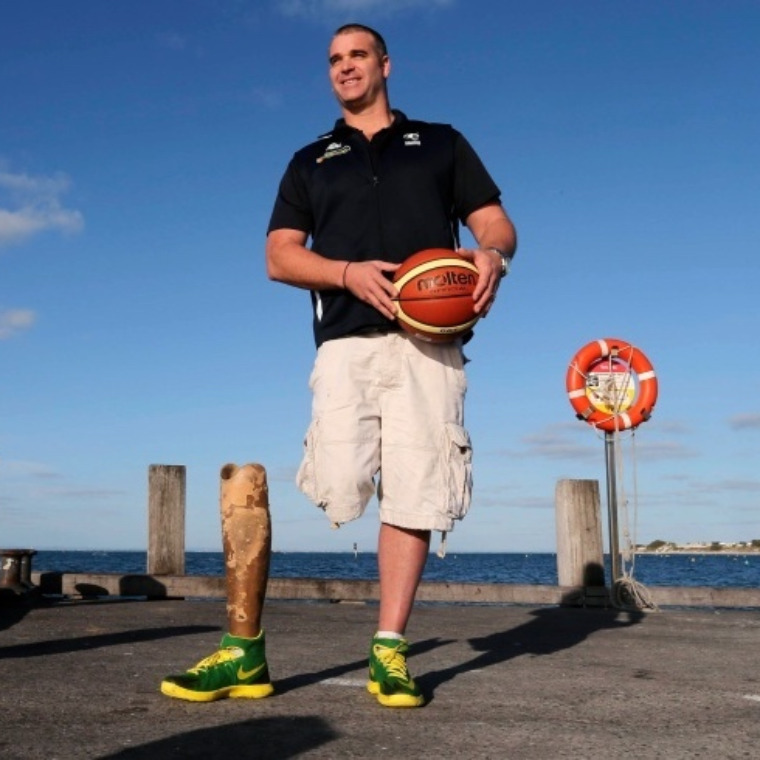 A towering presence in Australian wheelchair basketball, Brad captained the Australian Rollers to their gold medal in Beijing, silver medal in London and back to back World Championship Gold. He is one of the few Paralympic athletes to make a living out of his sport and played wheelchair basketball professionally in Italy for 12 years before returning to Western Australia. Brad was a sports-mad teenager who excelled in swimming, tennis, hurdles and his favourite code, AFL. As a teenager, he worked as a deckhand aboard a high-speed ferry between Rottnest Island and Fremantle, before losing his leg when he was 18. After seeing a wheelchair basketball game on television, Brad decided to give it a go and changed the course of his life. He debuted for the Rollers in the 1999 Roosevelt Cup, setting the scene for a decorated career. In 2000, he was awarded a sporting scholarship by the University of Texas, and followed that with a contract to play in the Italian Series A league. In 2007, he was awarded the Sandy Blythe Medal for International Wheelchair Basketball Player of the Year. As captain of the Aussie Rollers, Brad has led the team to two silver medals (Athens and London) and one gold medal (Beijing) as well as securing back to back World Championship titles in 2014 after their 2010 gold. They have also maintained dominance as Asia Oceania Regional Champions for 2009, 2011 and 2013 . Under Brad’s leadership, he has instilled the Rollers’ “honeybadger” team ethos and has built impenetrable team unity and culture over the years. Brad has also enjoyed an illustrious career in the National Wheelchair Basketball League. He was named NWBL Most Valuable Player in 2006 and has won 7 consecutive championships with the Perth Wheelcats. He now plays for the Red Dust Heelers – a team which came about from Brad and a few of his team mate’s desire to see more people with disability in Aboriginal and regional/remote communities engaged in sport, recreation and living happy fulfilling lives – the team acts as an awareness raising vehicle, spreading the message of true inclusion and reconciliation as they travel around Australia – (for more information visit www.reddustheelers.com). In Brad’s down time, he enjoys relaxing water sports and now that he in back in Perth, intends to spend many more hours at the beach in the years to come. Brad is deeply committed to sharing his story, in particular the lessons learnt from his workplace accident, to ensure safety is not something left to chance, but is instilled in the culture of workplaces all over Australia.